LIMA — The Asia-Pacific Economic Cooperation (APEC) Forum’s Week starts in Lima, Peru on Monday bringing together leaders of world’s largest economies, businessmen and investors, a Sputnik correspondent reported. A creation of Free Trade Area of the Asia-Pacific (FTAAP), which would include all APEC states, is one of the main topics on the agenda of the 2016 APEC Summit that is widely seen as the premier business event drawing together business and economic leaders of 21 Pacific Rim countries. On Thursday, Chinese Vice Foreign Minister Li Baodong expressed hope that the new US administration under President-elect Donald Trump would support establishing the China-promoted FTAAP. Trump, known for his criticism of the Trans-Pacific Partnership (TPP) deal, initiated by outgoing US President Barack Obama, won US presidential election despite most of opinion polls predicting his defeat to Democratic rival Hillary Clinton. During the election campaign, Trump took a protectionist stance on the trade deals shifting the focus from the global trade to domestic economic development. 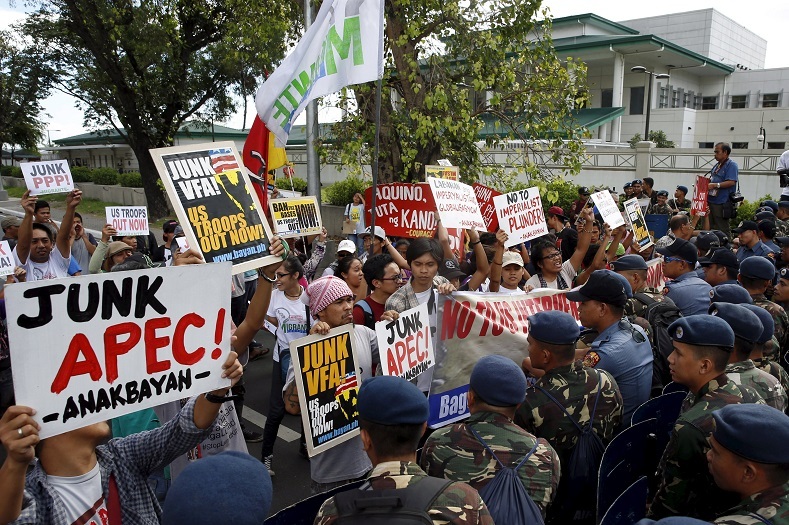 The creation of a free trade zone that would include all APEC members is viewed as an alternative to the TPP, which excludes China and Russia, was framed by Obama in an effort to guarantee US economic leadership in the region before Beijing does. According to US media, Obama’s administration allegedly has suspended its efforts to reach a deal with the Congress to ratify TPP trade deal in the aftermath of the US presidential elections. The APEC’s Week in Peru starts on Monday with APEC Business Advisory Council (ABAC), comprises senior business people from each member-state. President of Peru Pedro Pablo Kuczynski is expected to attend the event. On Tuesday, APEC Voices of the Future event will gather teams of young people from the 21 APEC Economies. The APEC Ministerial Meeting including both the Foreign Affairs and Trade Ministers is scheduled back-to-back with APEC CEO Summit that is set to take place on Nov. 17-19. On Nov. 18-19, the program of the event will carry on with the Leaders’ Summit gathering presidents, ministers and senior officials of the member-economies. According to the organizers, these meetings will see participation of Peruvian President Kuczynski, President of China Xi Jinping, Russian leader Vladimir Putin, current US President Barack Obama, and Chilean President Michelle Bachelet. The heads of states are planning to use the Summit’s sidelines as a venue for holding bilateral meetings. Among other figures, International Monetary Fund (IMF) Managing-Director Christine Lagarde and Facebook founder Mark Zuckerberg are expected to attend the event.